The Winnie the Pooh: Exploring a Classic is the UK’s largest ever exhibition to showcase Winnie the Pooh, A.A. Milne and E.H. Shepard and is now open at the Victoria & Albert Museum. Designed by RFK architects, this multi-sensory, playful exhibition reveals the real people, relationships and inspirations behind the charismatic bear, star of the most popular children’s books of all time. Visitors can explore 5 narrative spaces including A Very Popular Bear, Truly Inspired, What About a Story, The Art of the Narrative and Presenting Pooh. 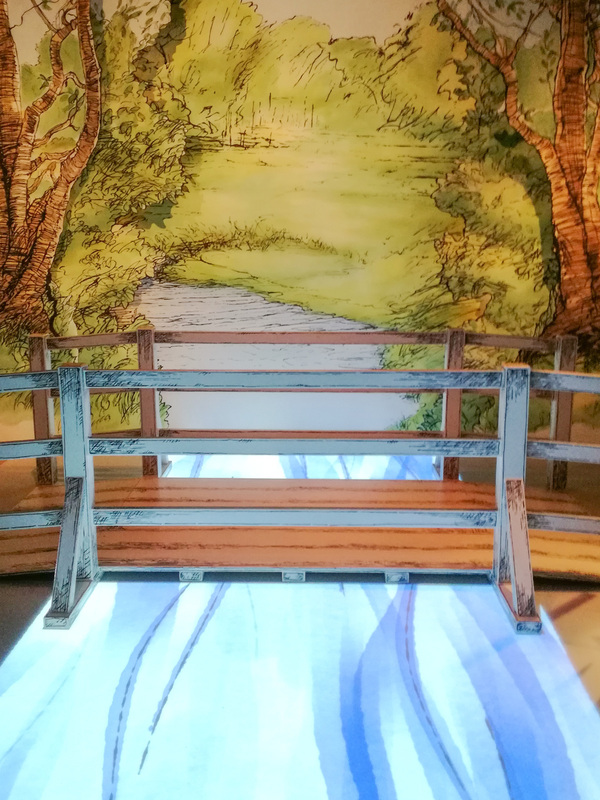 This creative exhibition is enriched by audiovisual elements and turned in to a live storybook where words and illustrations step out of their pages and into reality, allowing visitors to fully immerse themselves in the world of Winnie the Pooh. Working closely with Flemming Associates and Setworks, Sysco were responsible for integrating audiovisual exhibits comprising of audio narratives, projected animations and interactive displays which bring to life the stories and adventures of this famous fictional character. Highlights include 'Poohsticks', the much-loved game of Pooh and Christopher Robin. 2 floor projections on either side of a bridge provide the illusion of a river flowing underneath. Working with Newangle, the vibrant scenery is animated with pine cones, sticks and other floating objects that flow under the bridge and race across the finishing line.